The ACNA College of Bishops has received the Rt. Rev. Todd Atkinson of Alberta, Canada into its fold. At their meeting in Melbourne, Florida last week, the College of Bishops regularized the episcopal orders of Bishop Atkinson and received him as a bishop under the oversight of the Rt. Rev. 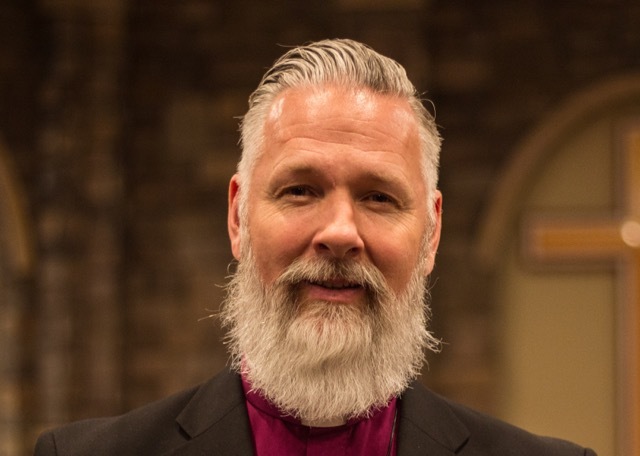 Charlie Masters, Bishop of the Anglican Network in Canada. Bishop Atkinson leads a church planting initiative in Canada called Via Apostolica, which will remain independent of the ANiC for the time being. While Bishop Atkinson has been attending ANiC gatherings since 2014, a number of diocesan clergy have expressed reservations about the speed of the inclusion of Via Apostolica into the diocese. One priest told AI he was concerned the bishop’s reliance on private revelation was not entirely in line with the Anglican formularies. The issue came before this week’s council meeting of the ANiC for discussion — no details about this debate have so far been released. However, an ACNA spokesman confirmed to AI the sole step that has been taken is the inclusion of BIshop Atkinson into the college of bishops as a suffragan to Bishop Masters. In the fullness of time the clergy and members of Via Apostolica may also be received into the growing Canadian church.